Our professional team of qualified staff will work with the children on a high adult to child ratio, encouraging each child to develop at their own pace and in their own way. Our team at Moon River have all been selected to work with us based on their exceptional experience in the Early Years sector as well their high level of qualifications. The staff are caring, nurturing and have a genuine love of being with children and seeing progress and learn. All staff at Moon River have a DBS clearance and are paediatric first aid trained. All staff also have attended a range of CPD training specific to working in the Early Years sector. We are looking forward to introducing you to our new team when your baby/child starts at Moon River. A qualified and experienced member of staff will be assigned to your child as soon as you join the nursery. 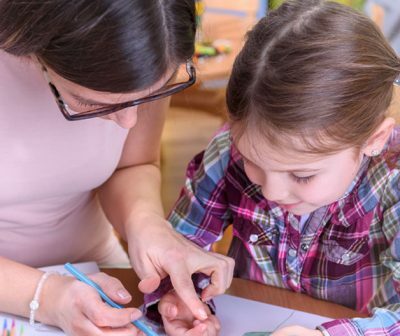 This special person will be responsible for your child’s daily routine, and will help them feel cared for and secure as well as supporting and documenting their progress and achievements. You are welcome at any time to discuss any aspect of your child’s development and help us to plan individual routines and learning programmes. Records of developmental progress will be kept and regularly updated for your child. We will be in daily verbal communication with you, and regular newsletters will keep you up-to-date with Moon River news. We will also arrange parents’ evenings to give you the opportunity to discuss your child’s progress in more detail with their key person. We will operate a key person buddy system, so that if your child’s key person is ever away from nursery, for example on holiday or they are sick, their buddy will know your child well and will be able to in step into the key person’s place.